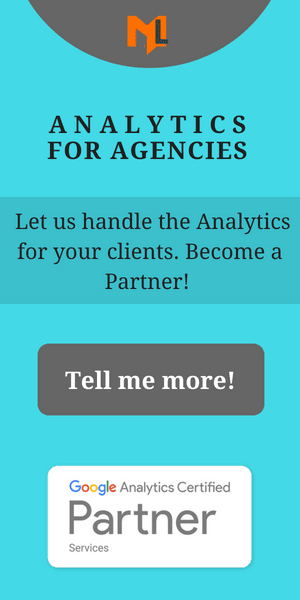 Are you looking for analytics extensions which are used by top web analysts?? If yes, here is a list of the best Google Tag Manager and Google Analytics Chrome extensions which could help you optimize your site more efficiently in lesser time. Okay so some of you might be thinking. I have a website up and running with Google Analytics looking after my traffic data and site reporting so what do I need an additional extension for? The question here is quite rational and is something that might popup in the heads of every newbie marketer discovering Analytics. Before I answer this, you must know that if you want to grow as an Analytics expert, there is a lot more to web analysis than just installation and configuration of Google Analytics. Using extensions enable you to undergo extreme modifications and advancements with your website’s data, that cannot be achieved alone with Google Analytics. And even if it can be, extensions contribute majorly in optimizing and debugging of Analytics tasks you want done. Adding extensions can further enhance the way you analyze various prospects of the data collected by Google Analytics and they also play a vital role in support and debugging of your analytics related activities.For the sake of your ease I have brought together a list of some worthwhile Google Analytics Chrome extensions which are broken down into three main categories. Debugging and troubleshooting Google Analytics code can be a havoc if you get stuck at an error message or not be able to find the error at all. The Google Tag Manager is a marvel that allows auto-tagging and tracking of various activities on your website. But if often happens that your website refuses to align with GTM’s requirements. This extension is used to debug page templates so you are able to spot its key elements and enable compatibility with GTM event listeners. Dataslayer is a debugging solution for GA that helps you test and modify your tag manager and analytics configurations. It does so by adding a panel to your browser’s developer tools, monitoring different layers of data in GTM, and displaying tags in a user-friendly format. Also notifying you promptly with any changes and modifications that may arise because of a new data value. The name of this analytics extension is pretty self-explanatory when it comes to its usage. It allows you to verify if the tracking tags are configured correctly on your site pages. Not just this, the Google Tag Assistant notifies which tags are functional and which are not, also analyzing user behaviour that ultimately impacts the overall user flow on your website. This extension can be used to track google analytics, google tag manager and google adwords tags. This extension helps you to detect whether an analytics tracking code is currently active on a site. Or in other words, if a webpage supports Google Analytics. It does so, by looking for a UA code on a webpage; i.e Universal Analytics. When you load the website in your browser, an icon representing the presence of a UA tracking code appears at the top, which is hidden otherwise. All you have to do is install the extension, login to your account, create a custom HTML tag and start coding. The Data layer inspector makes it a tad easier for Digital Analysts to manipulate and manage data layer related activities in Google Analytics. This extension displays the message that is received by GTM’s datalayer directly to your browser console. Once you install this extension, open the website containing GTM tracker you can monitor all hits and conversions on your site as they happen. To use this extension, you’d have to first install it , reload the page and open console. This is a hassle free extension for all those who are not much familiar with codes. If you have even the slightest of idea about Google Tag Manager (worry not if you don’t), you’d know that before any tag implementation you need a container to get set going. This is a very useful extension which overlays GA reports directly on the web page. You can monitor aspects like user activities, how visitors interact with your page, track events, find out click generating and conversion producing entities all with a single extension. Table booster is majorly used for comparison driven analysis. Analysts use this extension to associate Google Analytics metrics, classify them and view them in grid-like tables in various visualizations. This includes coloring different rows & columns, heat map and use graphs in a grid view. This extension is very helpful and handy for using UTM tracking. UTM Parameters go hand in hand with site reporting and marketing. They are first handedly responsible for delivering information about the nature of the traffic coming from various sources. The Google Analytics URL Builder auto tags traffic and generates URL’s for your site pages. Rather than looking for other tools on the web just install this extension with your browser and you are good to go. This extension adds a header to your analytics account and allows you to switch between several profiles or GA accounts. while viewing the exact same report with all its data intact and with the same set of dates. I hope I was able to help at least some of you with this list of extensions which would certainly help every newbie and even pros, working with Google Analytics to run their site. If you optimally use necessary extensions with Analytics, you would notice the amount of efforts which go into generating reports, manipulating site data and monitoring user activities reduce drastically.